CFL Commissioner Randy Ambrosie had a busy fifth stop on his ten-city CFL tour. 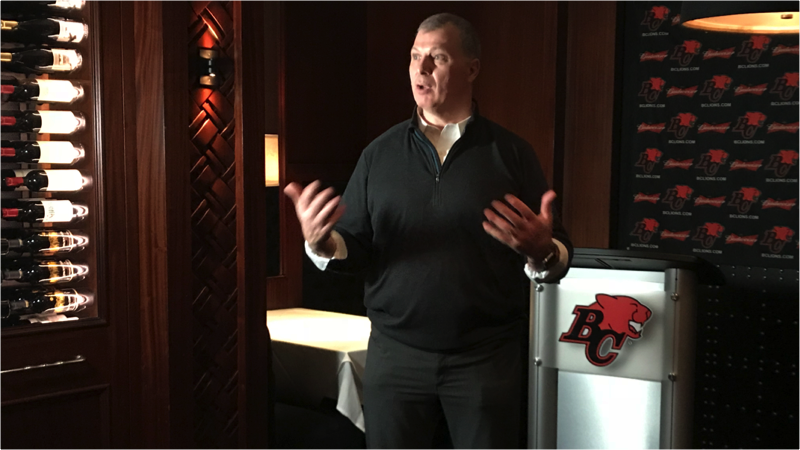 In between a luncheon with some key sponsors and Town Hall event with 300 or so season members, Ambrosie sat down with Matt Baker from BCLions.com, answering questions on some key topics with the BC Lions Football Club and CFL in general. Despite being from Winnipeg and having never suited up for the Lions, Ambrosie will always have the west coast near and dear to his heart. He told Lions’ staffers a tale of breaking in as a rookie with Calgary in 1984 and having to block the likes of James ‘Quick’ Parker, Nick Hebeler and the late Rick Klassen. 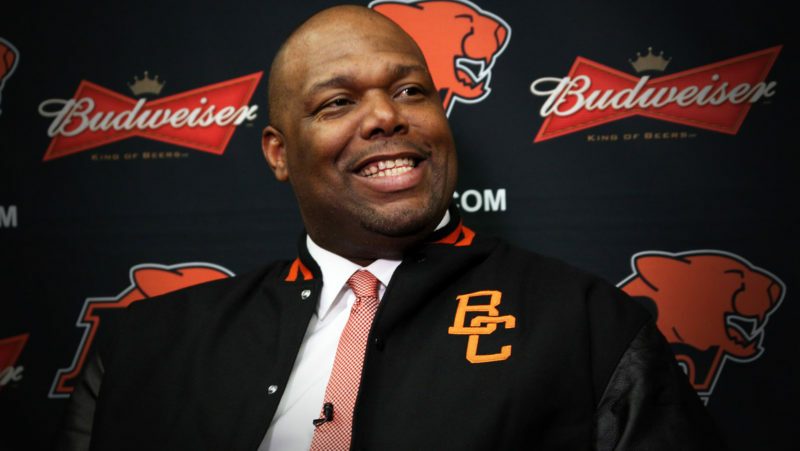 Ambrosie recounted an instance where Parker flew right past him and later said something along the lines of: “Kid, your job is to block and not to catch passes.” The 1993 Grey Cup champion left a lasting impression with the fans and sponsors he interacted with on Thursday. MB: Expand on what we just talked about: how has your visit to the Lower Mainland been so far and how much fun did you have at the event this morning? Randy Ambrosie: The event was great. We’re getting treated to an absolutely perfect day in the winter for Vancouver, so that’s been nice (laughs). So far the entire roadshow has been great, every stop just meeting wonderful, friendly and committed people who just want the CFL to do well. That was what we found with today’s event with the partners and sponsors: they love the CFL, they love the BC Lions, they want us to do well and it was a nice opportunity to spend time with them. MB: We last interviewed you in July when you attended our thrilling comeback victory over the Blue Bombers. A lot has happened with our club since then. Talk about some of the changes with new President Rick LeLacheur, General Manager Ed Hervey and comment on the upcoming final season for Wally Buono on the sidelines. Randy Ambrosie: I love Coach Buono. At his core, I think he’s a coach so I think this is a fitting way if this is, in fact, going to be his last season, having him focus on his coaching duties, which I know he loves, is a great thing. Ed has got a proven track record and I have known Rick LeLacheur for quite some time and think he is a great choice. 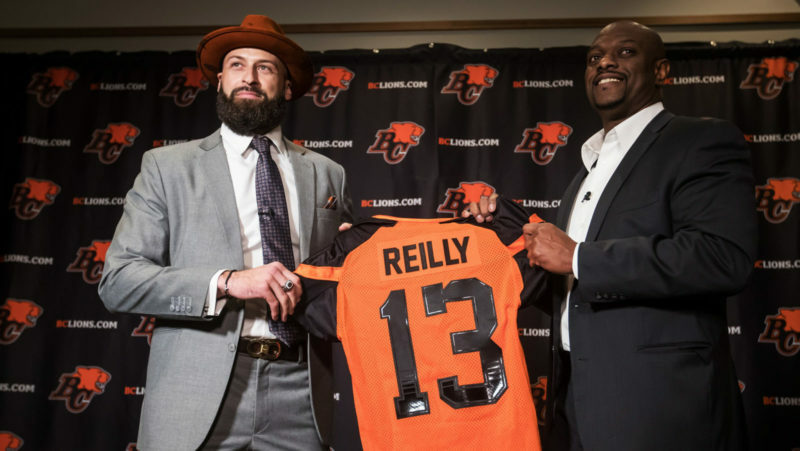 He knows the CFL really well, he loves the CFL and I think he’ll add a great amount of value. This is a very strong team on and off the field. I’ve got great expectations for a fantastic 2018 season. MB: You have talked a lot about ticket sales and your “butts in seats” campaign. One of the things we have launched for 2018 is a Kids’ Season Membership campaign. What are your thoughts on that and would you like to see other teams follow suit? Randy Ambrosie: I fundamentally believe it’s where the love of our game starts. You get a kid in the stands watching these world class players play this great game of ours and it begins a journey that can last literally a lifetime. So many people in and around the game, myself included, that’s where it all started. It just started with being a kid, for me it was Bombers games, and frankly, we weren’t sitting in the best seats. These players are larger than life, it’s fun to watch them and it starts an entire life’s journey through our game. I think it’s a great initiative and I would love to see how it works here. It’s actually part of the culture we’re trying to build around the CFL is best practices, what’s working, get everyone sharing the best ideas, nine teams in the league office all working together, including all of our partners, working in lockstep to make our game better. MB: As mentioned, you attended our most exciting game of 2017. Did that give you an idea of just how electric it could be inside BC Place? Randy Ambrosie: I have had the chance to play in this building, going back to 1985, my first season. I played in a Grey Cup here in 1987. I was playing for Toronto and we lost 38-36 to Edmonton so I have seen this building at its best and I know it’s a great facility. I was talking earlier today about the renovations and just how nice it is to go to BC Place. I think it’s a world-class facility and I know what this city is capable of in terms of atmosphere. 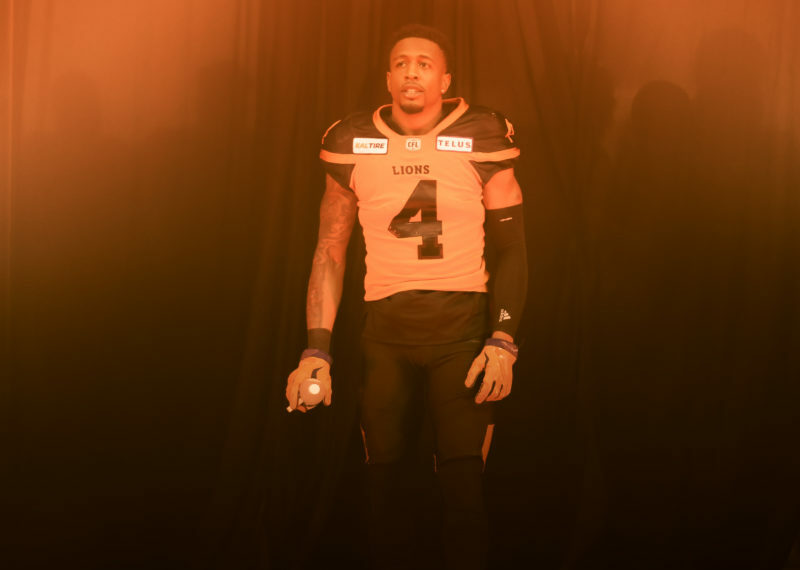 It’s one of the reasons you are just excited about the future of BC Lions football here in British Columbia. MB: You’re in the middle of this your, you held the GM meetings in Banff and we are less than two months away from Mark’s CFL Week in Winnipeg. How important is it to be making news year round and do you look to leagues like the NFL and NHL as good models to follow in that regard? Randy Ambrosie: I’m a fan of sports and I’m a fan of business. Whenever you go quiet, you’re out of sight and out of mind. We can’t afford to do that. The entire sports and entertainment landscape is highly competitive. You have to work hard. You have to stay engaged with your fans. Our fans have to want us to want to stay in touch with them. The more we’re in front of them, telling our story, getting them to know our players, making them feel part of our decision making, and that’s what this tour is designed to do, that’s going to make our decision making better. Ultimately, we want our fans to feel connected with us. I’d like us to be the most fan-friendly league in the entire world of sports. MB: Time for a hot-button topic. The issue of re-alignment. What are your thoughts on the East and West Divisions? Does the fact the East won the last two Grey Cups kind of dispel that theory that you need to scrap the divisions to even out the playing field? Randy Ambrosie: I’m not sure that is the argument I’d make. We’re having this amazing conversation about Halifax. I think the Maritime region, when you look at the history of our country, is the national railroad. There was a last piece of track where if you didn’t put that spike in you didn’t have a national railway. I don’t think the CFL is complete until we formally bring the Maritimes into our league with a team of their own. They have great fans and they are some of the finest people in the world. I think we want them to be part of our league, not just as fans as they are today, but to have a team of their own to cheer for. Through that lens, now you can have two five-team divisions. You’d probably play an unbalanced schedule. Let’s just say hypothetically, maybe each team plays their division rivals three times, that’s 12 games. You then play the other conference one time and one team twice. That would cut down on a lot of travel and make things better for the players. We should make that our priority and keep talking about re-alignment. It’s always fun, you hear a lot of different opinions and I think it’s a great conversation to have. MB: That would also give Lions fans something we have never really experienced: a natural rival on Labour Day. West versus East, how does that sound? Randy Ambrosie: There is an interesting story there, right? You want to bring the country together, one day bring them together on Labour Day. It’s the culmination of the great Canadian summer. East versus West could be another great part of the scheduling exercise. We have so many other great Labour Day matchups and that would be special as well. It’s just another reason for me to be excited about the possibility of adding a team in the Maritimes. ***Stay tuned for more of Ambrosie’s comments on video, including his thoughts on the highly-successful ‘Diversity Is Strength’ campaign that was launched in August of 2017.